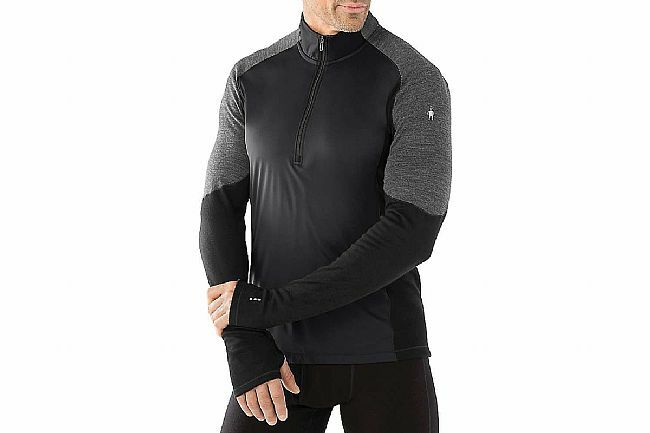 Smartwool's Men's PhD Light Wind 1/2 Zip Shirt features a warm and supremely soft Merino-polyester blend that rapidly wicks sweat away from the body. The windproof front panel shields the core against gusty assaults. Body mapped mesh panels complement the Merino-polyester by providing additional breathability. Minimal Merrow seam construction further fortifies against the elements and wear-and-tear while providing a smooth, comfortable interior. For extra protection and warmth, there are integrated thumbhole openings at each cuff. 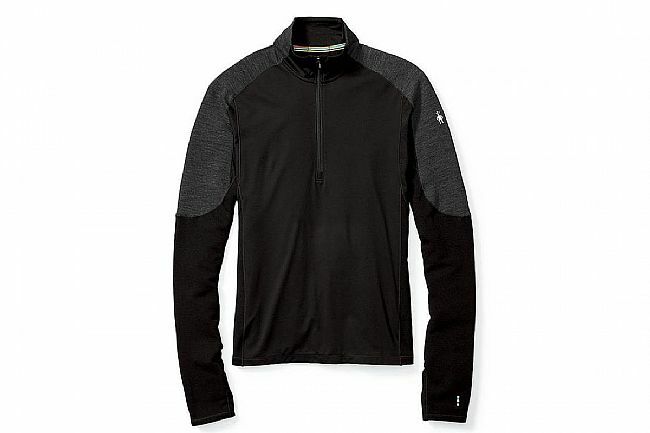 Soft, light, moisture-wicking Merino-polyester blend. Smooth, durable, minimal Merrow seam construction. 10.5" center front zipper with chin guard.